If you are crazy about fashions and want you to start a fashion blog to forecast your findings and new trends in fashion? Cool, here you go this post apt for you. In this article, we have made a collection of the best WordPress themes for fashion blogs. Compared to other platforms WordPress is good in managing content, displaying galleries, and post the content in an effective way. That’s the reason many people are using WordPress platform to create their website as well as start their blogs. So it is always good to create a fashion blog in WordPress so that it is easy for you to customize and work. Fashion is the most popular topic in today’s world. Everyone wants to be very fashionable and very eager to know the new trends. So starting a fashion blog will be really helpful for the people to search for it and you can express your passion towards it. Fashion is regularly changing and you will get lots of topics to write on your blog. You can even make money as fashion is the best place because there is a number of products available to promote on your blog. Fashion is a vast industry and many WordPress themes are created for fashion blogs. Picking up the themes from a huge collection is really a difficult task. So in this post, we have made a collection of best WordPress themes for fashion blogs. But the design depends on you, so among them, you have to pick the best fit for your blog. 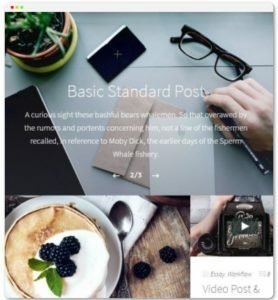 All these themes come with unique functionality and wonderful features for you to create a good looking fashion blog. The common features of these themes are easy to use, mobile responsiveness, extensiveness of functionality, page load speed, SEO ready, well-coded, and highly customizable. In the fashion themes, the visually appealing designs are very important. All the listed themes give you an awesome look to your blog. FashionBlog is one of the top WordPress themes for fashion blogs. This theme is an excellent choice for fashion bloggers. The layout is largely traditional, with a simple header followed by a full-width slider and two column design. It is a solid theme, well suited for all the devices, and has a fully loaded options panel. This theme has a very crisp elegant design and unlimited color scheme. Using this theme you can mention all the related posts features that the readers stay on your website by reading the additional blog posts at the bottom of the current post. FashionBlog has an excellent content structure and lots of visual designs. It includes other features such as video and image banner, SEO friendly, multiple color options, responsive design, social media integration, multiple color options, photo-friendly layouts, custom background, logo input, typography options, and much more. CheerUp is yet powerful and good WordPress theme for fashion blogs and magazine websites. This theme is outstanding for its countless design options. CheerUp is very easy to customize and has a wonderful responsive design. This theme comes with nearly 200+ layout options, multiple sliders, footer, post styles, and 6 demos. This theme provides great navigation, well-chosen typefaces, use of white spaces, and makes great use of CSS with hovering over the images and other elements. A cheerup theme is compatible with Contact form 7 and MailChimp plugins. The theme has all the required social media elements, it is SEO optimized and caters the email marketing needs. The CheerUp page load is very impressive and scored perfectly in most categories of the Google page speed test. This theme is compatible with all the devices and fits the screen. A cheerup theme has a good combination of stylistic typography for titles and sans-serif fonts for the entire main content text. It has an excellent image gallery that makes the theme most visual looking. 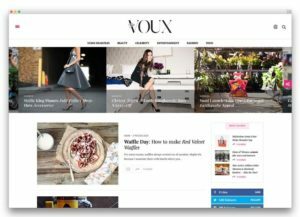 The Voux is also one of the most popular WordPress themes for magazine and fashion blogs. It is the first ever theme to include a unique social sharing in its roster of features. All the data that is required for social sharing can be accessed from the backend of the website and it is kept in WordPress. This theme is very responsive and lets anyone access the content easily. It works effectively in all the devices and people can enjoy its quality experience. This theme gives complete control over the owners where they can update posts and track views. The Voux theme is translation ready and allows multilingual support. This theme integrates with the WPBakery Page Builder plugin which gives you fine-grained control over your layout. In this theme, the social media widgets are placed in a perfect position if a user clicks on it and still not interface with the overall design. The theme offers an online shop for your fashion-related products. It includes other features such as visual composer, retina ready, classy sidebars, carousel slider, WooCommerce compatibility, stylish typography, elegant animations, and much more. This plugin is like an all-rounder that satisfies all your needs. 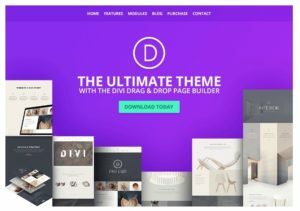 Divi is a versatile WordPress theme that is powered by the Divi builder. This has a wonderful front end editor. This theme comes with an easy drag and drops page builder to create a beautiful website in a very short period of time. It comes with a wonderful 20 predesigned layouts which look out of the box. Divi is actually a multipurpose theme but the best choice for the fashion blog. This theme has a huge community of contributors and followers so that you will get enough supports, forums, layouts, designs, and free tutorials. Divi theme blends with all the devices and gives the best user experience. This theme is very modern and will definitely attract the people who are crazy about fashions. This theme is currently translated into 32 languages and it been extending. This is one of the notable themes which supports Right to Left(RTL) writing which is very helpful for the languages such as Hebrew or Japanese. The customization and possibilities are endless with this theme. Sleek is an interesting WordPress fashion blog theme which has three different mini-windows on the homepage. One is for the menus, one is for the posts, and one is for the sidebar. All the windows can be scrolled individually. As the name implies this theme comes with a sleek design and impress everyone. This theme is compatible with all the devices such as mobiles, laptops, tablets etc. Sleek has unique layout options and very easy to customize. With its wonderful post type format styles, fullscreen, minimal layout, awesome design elements, this theme is the best fit for the fashion bloggers. This theme also has a Tweet post format that helps you to post your latest tweets in your blog. The sleek offers grid system, custom blog lists, shortcodes to support custom page building. It includes other features such as powerful theme options, retina ready, five blog styles, multiple layouts, responsive layout, Google Maps, Contact form 7 ready, Masonry gallery with lightbox, social media integration, translation ready, independent sidebar and sidebar comments, and much more. The only drawback is that this theme comes with minimum layout options and doesn’t support E-commerce. This theme is one of the best WordPress themes for fashion bloggers with best SEO coding. 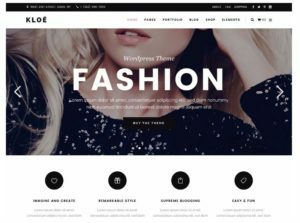 Kloe is another wonderful WordPress fashion blog theme in the list. This theme has a collection of predesigned homepages. This theme lets you create anything you want like a blog, portfolio, online shops, and much more. You can forecast your fashion blog with this wonderful mesmerizing theme. Its elegant theme is very useful for the fashion blog, lifestyle blog, model agency, and much more fashion related industries. With the help of this theme, you can also create a portfolio for your modeling work. This theme has plenty of customization options such as a custom header, footer etc. Kloe theme comes with a pack of 15-page loader styles, crisp parallax effects, interactive infographics, WPML translations, fullscreen megamenu, custom shortcodes, custom widget, multiple header options, and much more. In this theme different blog layouts are available that lets you choose as per your blog that reaches out world wide. This theme has 6 font icon packs, WPBakery Page Builder, and also slider revolution. Overall kloe is a powerful, classy theme for fashion blogs. 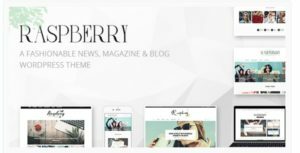 Raspberry is the best premium WordPress theme for a fashion blog. It has an elegant and very responsive design. This theme comes with a clean structure and responsive layout that gives the best experience for readers in all types of devices. This theme integrates well with WooCommerce and lets you build a wonderful fashion boutique and you can sell your products worldwide. Raspberry is created from scratch and it comes with multi-language support. This theme includes a highly customizable, responsive mega menu, user-friendly that gives good navigation of your website and helps your visitors to explore your website very easily. Raspberry has a mesmerizing 600+ beautiful Google fonts, speed optimized, SEO that helps to rank your blog higher in search engines. The control panel very user-friendly and lets you edit the color schemes, change the background, build your own custom skins etc. Just with a one-click functionality, it makes wonders. This theme is an ideal choice for the fashion blog. 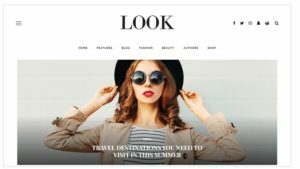 The look is another fashion blog WordPress theme that grabs the attention of viewers. This theme comes with a pack of 12 demos all are ready for a one-click install. The demos show that this theme is very versatile and easy to customize within the Ruby Page Composer. This theme is speed optimized and has an option of infinite scrolling so that viewers can enjoy reading your blog without any interruption. Look theme has a pre-built shop demo page that is ready for a WooCommerce integration. The themes demo features gives you a modern, minimalist style that attracts the entire viewers. This theme is suitable for multimedia news, fashion or lifestyle blogs, and online magazine publications. The theme is very clean and has a professional responsive design. Look theme is compatible and looks stunning on all type of screens and devices. You can integrate popular WordPress plugins easily. This theme gives you a lifetime license with ongoing updates as long as the theme exists. This theme has a set of functions and usability tools such as mega menus, custom shortcodes, custom widgets, page builder, and much more. The look is designed with rich snippet microdata that improves your SEO and it is compatible with Yoast SEO and other SEO plugins. It supports audio and video post formats with YouTube, DailyMotion, Soundcloud, Mixcloud, and Vimeo. It gives you an excellent unique styling for fashion blogs. Mag is one of the modern, elegant WordPress magazine theme for all fashion, lifestyle, travel, and other related publications. The Mag theme developers have spent a lot of time researching for the latest design trends from fashion industries. This theme provides you with a large number of advanced features to present your brand in the best way. This theme includes features such as retina ready, fully responsive, compatible with WPML plugin, WooCommerce plugin, very reliable, and secure HTML5 & CSS3 code. It provides space for the advertisements that help to improve your conversion rate and earn money. This theme is capable of translating into different languages. It has a unique homepage layout and you can choose the perfect design that helps to represent your brand and identity. It has well-written documentation that even turns the beginners to experts. You will have the entire customization control directly through your admin panel. It mainly focuses on your content and one of the best themes for fashion blogs. 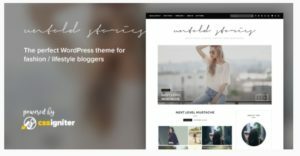 Untold Stories is one of the leading fashion blog WordPress theme. It is the best theme for personal or professional fashion blogs with multimedia posts. It gives importable pages and posts templates so that the pages can be published with no time. This theme will help you to run a successful fashion blog. It is carefully crafted and the features are unique and apt for the fashion bloggers need. You will have the complete control over the layout of your blog. It has flexible color options, custom widgets, special content styles, deep social integration, 100+ customizer options. All the customization of the theme are done on the WordPress dashboard. This theme has 10-page layout templates, 4 custom widgets, and 8 post style templates. It supports both audio and video post formats like YouTube, Audio Mixcloud, Soundcloud, Vimeo, and much more. Even beginners can create a professional looking fashion blog with this theme. Other related features are retina ready, typography options, translation ready, author box, Instagram special styling, related posts, color options, and much more. Overall it is a good fashion blog theme even for the beginners. 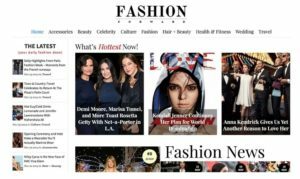 FashionForward is yet another popular modern fashion magazine WordPress Theme. The theme is built with creativity and a minimalist design. This theme is more suitable for beauty and fashion portals, fashion magazines, fashion bloggers, celebrity websites, and other general news websites. A Fashionforward theme is very responsive and works effectively on all the devices right from small screen to big screen. The theme is coded with WordPress standards and comes with a color scheme picker. The theme comes with fun designs and gives you plenty of options to your content. This theme has a newsreel-style sidebar and image areas with each post visitors of your website will definitely get a fashion news experience. The theme includes features such as real-time customizer, translates to any language, Twitter card integrations, positions for advertising, comes with demo content and widgets, and much more. Overall a most powerful theme to you must try. Fashion is the widely spread term all over the world. In this modern world, everyone prefers to update themselves in a fashion-oriented lifestyle. So by giving a fashion blog, you can update the current fashion trends to people and they will be engaged in your blog. The above-listed themes are a best-handpicked collection of WordPress themes for fashion blogs. All these themes have unique features and functionalities and some common features too. However, creating a fashion blog is completely your own idea and concept. Based on your requirement you can choose the theme and work on it. But sure that these themes will never let you down. Hope you got an idea about the best WordPress themes for fashion blogs. If you have any queries or feel any other themes are good which are not in this list please feel free to share us, so that it will be very useful for the upcoming readers. You can subscribe to us at Facebook and Twitter. 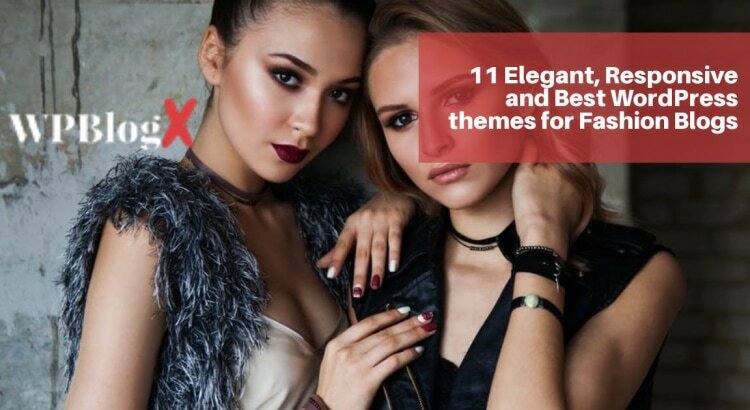 these themes are really effective for fashion. thanks for sharing this with all..